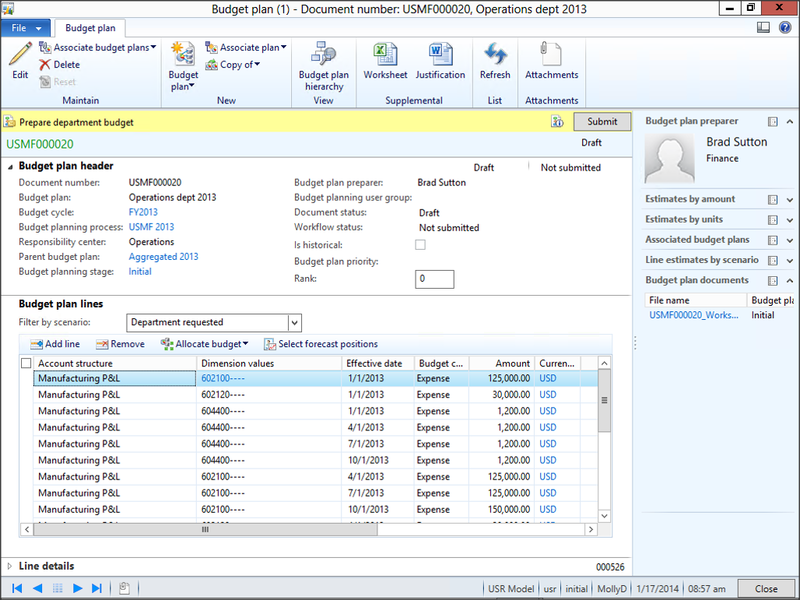 When you are assigned a budget to update, rather than entering in the budget line by line, and period by period, just click on the Worksheet button within the Supplemental group of the Budget Plan ribbon bar. 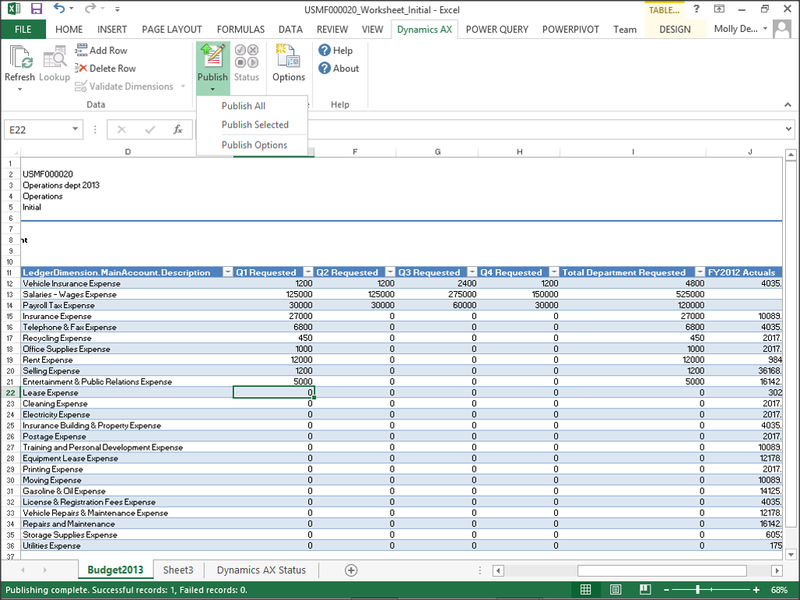 This will open up the budget entry template within Excel, and populate it with all of your budget detail. 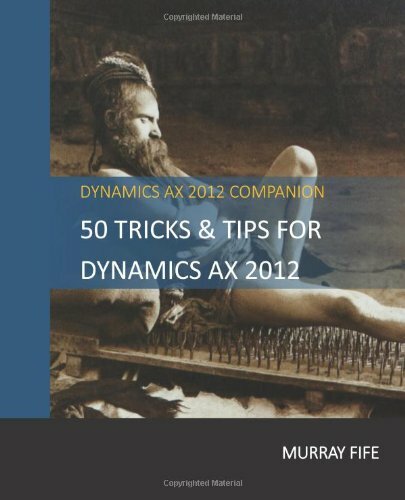 All you have to do now is update all of the budgets by account and period, and then click on the Publish All option of the Publish menu button within the Update group of the Dynamics AX ribbon bar. 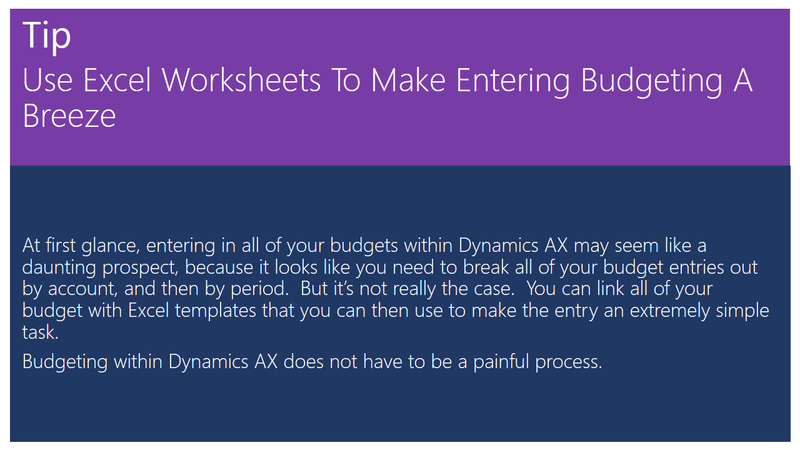 Now when you return to your budget detail within Dynamics AX, you will see that it has added records for you for all of the new budget entry records, and updated all of the budget figures with the values that you entered in the worksheet. 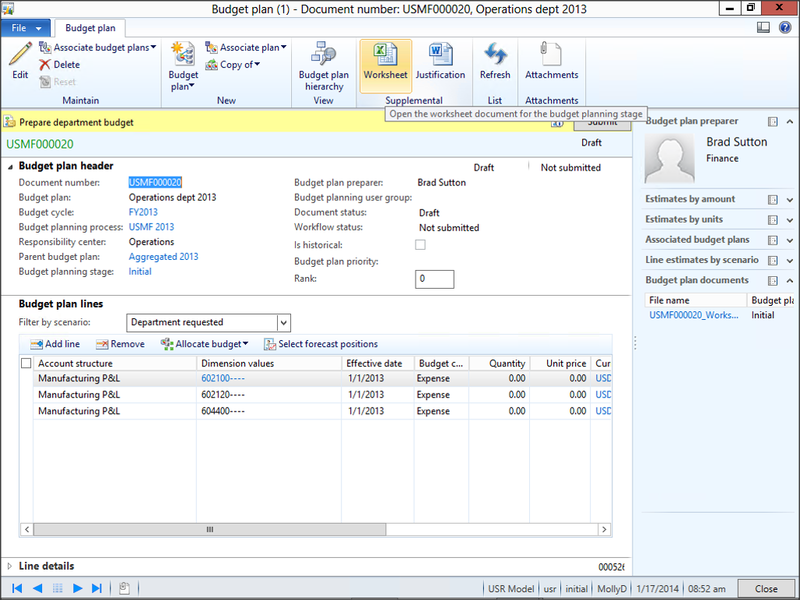 Also, you can always return to the worksheet by clicking on it within the Budget Plan Documents fact box. 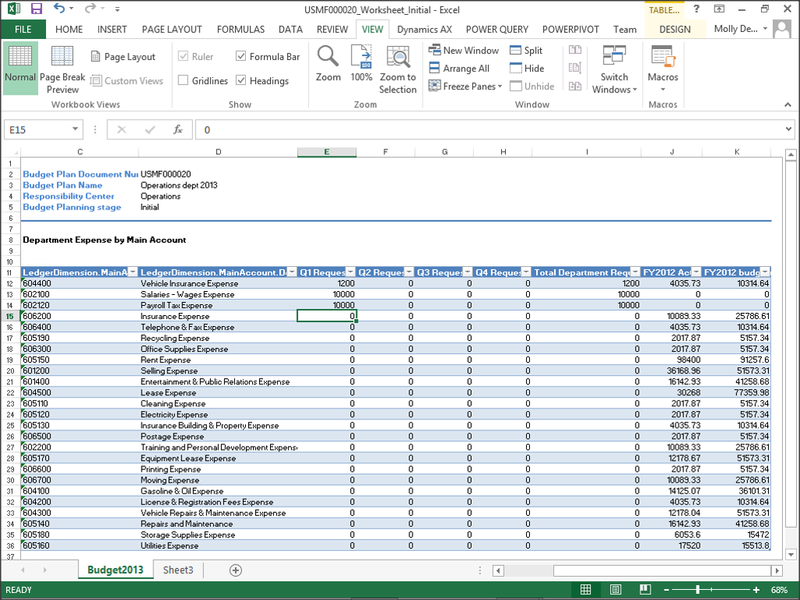 Hello Murray, I have see the Microsoft presentation video of Project Planning, the presenter showed some projection calculations for head count, Revenue whereas neither the white paper nor Technet are showing how to get those calculations. Could you please help me on that?